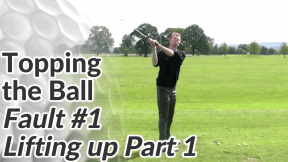 If you missed part 1 and part 2 of this Stop Topping The Ball series, to quickly recap – top shots in golf are often caused by lifting your chest during the backswing / downswing or by bending the arms through the impact position. 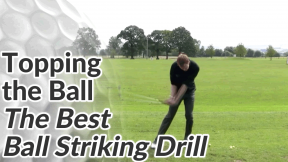 But if you feel that neither of those faults appear in your swing and you’re still topping the ball on a regular basis, this drill will definitely help. In fact, in my experience, when you master this drill you’ll cut top shots (and fat shots) out of your game almost completely . 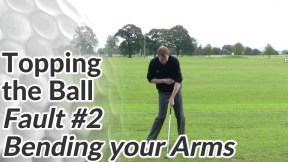 It’s an excellent exercise to get you hitting the bottom of the ball, creating a clean, crisp strike every time. A lot of golfers that hit topped or thin shots, also hit the ball fat (the club strikes the ground before the ball causing a very poor contact). 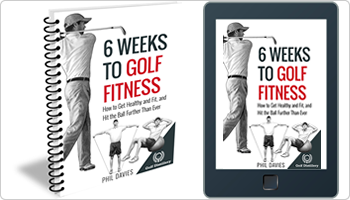 Many of their thin or top shots are the result of not trying to hit the ball fat. But striking the turf is an important part of hitting a crisp golf shot… with the aim obviously being to hit the ground after the ball (referred to as ‘ball-then turf’). 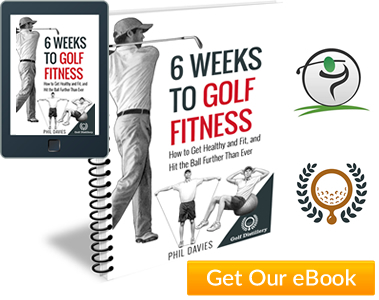 When you learn to consistently strike the ground after the ball – what that feels like, how your weight shifts to make that happen – it’s impossible to either hit the ball fat or top it. And that’s what the following drill will help you achieve. One of my students, Phil, noticed that before this drill he always tried to ‘clip’ the ball off the ground (as though the club could only make contact with the turf at that tiny spot right under the ball). Now he is able to take a healthy divot without fear of hitting behind the ball or topping it. 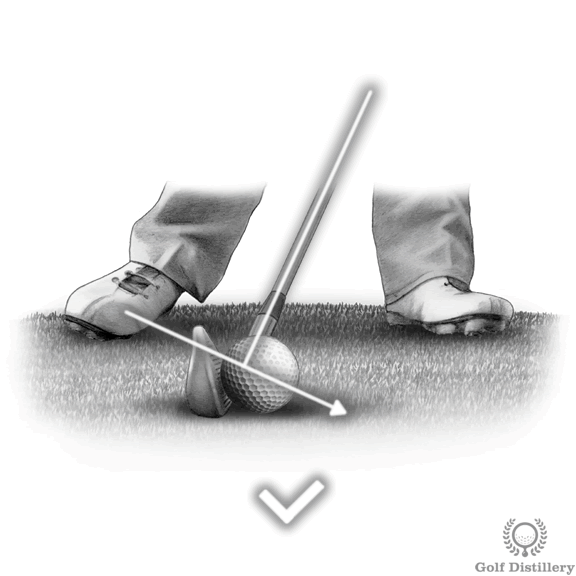 Place a ball one inch in front of your front foot; it may help if you tee the ball up to start with. Having the ball further forward than you would normally place it with your driver may initially feel very awkward, but stick with it. Now go ahead and sweep the ball off the tee and into the air with a nice smooth swing. Really focus on your body weight and how it should move aggressively to the left in your downswing. Shifting your hips to the left before impact will mean that when the club strikes the ground it will no longer be behind the ball. This should start to give you more confidence that striking the ground and taking a divot is a very positive part of hitting great golf shots.